Initially I had little thoughts of going over. The expense and logistics seemed to halt any such notion. Gradually as I kept writing out the tour dates for the TBL Newsletter Extra, it began to get a little exciting. Unsurprisingly, others were feeling the same way and various options opened up. There was the offer of a drive from the UK to attend the Prague and Katowice date (thank you Steve ). That proved too difficult in terms of how long I’d be away. 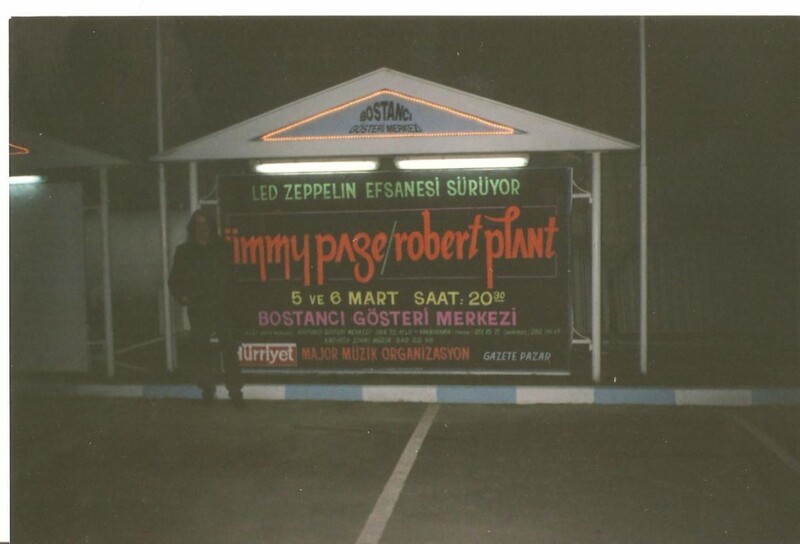 A few hours later we are outside a very wet and miserable Bostanci Centre. After yesterday’s pleasant weather it comes as something of a surprise. In fact I’d have been well advised to have worn the new leather coat that one of the eager local tradesman had hoisted upon us when we checked out the local McDonalds earlier. The rain coupled with some unfortunate stress I’m having to deal with makes the morale somewhat low. Quick aside: This involved an incident where we inadvertently (it was a genuine mistake!) took a ride from the hotel to the second gig in the tour bus that was meant for the road crew – thus leaving them to get taxis to the venue. Unsurprisingly this did not go down too well and I had some explaining and apologising to do rather quickly – I can laugh about it now but back on the day it was stress city believe me! The complete story is one for the memoirs for sure…like I said these were crazy days! The upcoming Record Store Day single from Led Zeppelin. 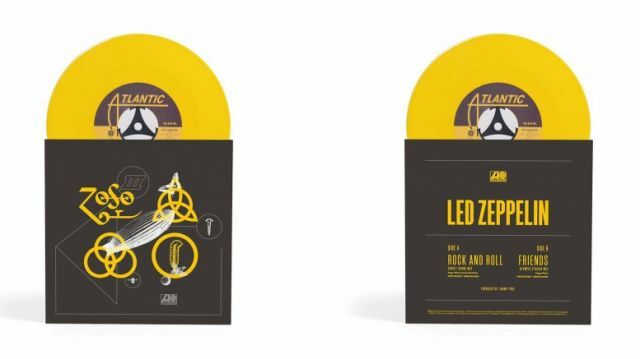 Led Zeppelin will release a vinyl single for Record Store Day. The single will feature two previously unheard mixes produced by Jimmy Page: The Sunset Sound Mix of “Rock And Roll” on the A-side and the Olympic Studios Mix of “Friends” on the B-side. Jimmy Page has restarted his three-year feud with his neighbour Robbie Williams. Page sent a new letter of complaint to his local council about Williams’ proposed basement extension. Robert Plant announced a series of upcoming US and Canada tour dates in June. See all the tour dates here. Robert Plant appeared on “The Late Late Show with James Corden” on March 1. See all of the videos and photos from the show here. 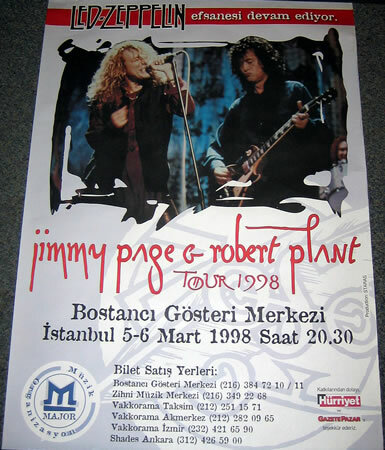 Robert Plant has given several new interviews to promote his current tour. 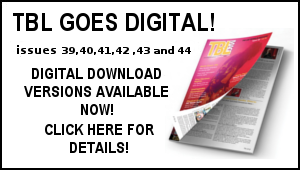 This week Plant spoke to Esquire, ABC Australia, 95.5 KLOS, and The Phoenix New Times. Robert Plant posted the full video of his band performing “New World…” in the UK on November 30. 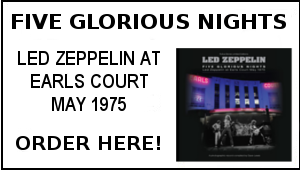 April 21 – Led Zeppelin will release a vinyl single for Record Store Day. June 27 – “Led Zeppelin Live,” a photo book edited by Dave Lewis, will be released and Robert Plant will perform in Redmond, Washington. Sad to hear today’s news that the NME is ceasing publication. I still pick up the free copy every week from the local Slide Records shop– though i guess more out of habit as it’s long since been essential reading. It brings to a close the dynasty of the UK music weeklies as the NME along with Melody Maker, Sounds, Record Mirror and Disc were once vital reading matter with circulations in the hundreds of thousands. I always checked out the other music weeklies (particularly the Melody Maker) but for me, the NME was always the most essential. In terms of finding about the news of your rock and pop faves, the NME had it covered. 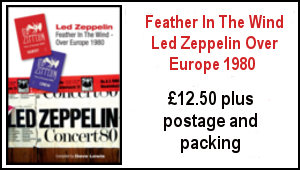 When it came to Led Zeppelin they did a sterling job in covering the band right up to 1980. I’ve actually been reading the NME since 1964 as there was always a copy in our house. 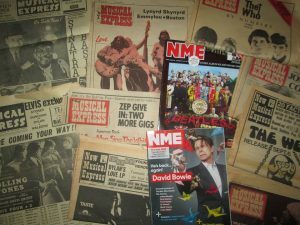 I started buying it in 1970 During the 1970s the NME was absolutely essential reading –not least for its coverage of Led Zep and the writings of Charles Shaar Murray, Nick Kent, Roy Carr etc. It was when they secured the services of the aforementioned Kent and Murray from the underground press that NME really found its stride. The pair contributed some of the greatest rock writing of all time during the years 1973 -79. In depth features on the likes of Syd Barrett, Jim Morrison, Brian Wilson, Brian Jones, on the road reports with Bowie, The Rolling Stones and indeed Led Zep. Some of their album reviews were also very memorable including Physical Graffiti, Dylan’s Blood On the Tracks, Exile on Main Street and Television’s Marquee Moon. The latter by Nick Kent spurred me to instantly purchase said album and his musings were spot on. They were both a huge influence on my own ambitions to put pen to paper. I have been lucky enough to interview both of them for the TBL magazine and both were memorable encounters. I have a fair few NMEs from that golden age and I often browse through them – they still hold up as definitive chronicles of the era. In this social media driven world, it’s hard to understand how a music weekly could have such influence but the NME certainly did. I also have all the Led Zep NME cover story issues from the first one in 1971 to the Jimmy Page cover interview story published the week of the first Knebworth in August 1979 through to 2014 with the Jimmy Page interview regarding the reissues. Other Zep related NME links: In early 1978 Midland based punk band Dansette Damage recorded a track about the famous music weekly NME. It was recorded at the Old Smithy Studios in Kempsey, Worcestershire with Robert Plant and Zep sound man Benji Lefevre offering production and engineering assistance. Robert was billed as the Wolverhampton Wanderer and adds backing vocals at the close of the song. NME was issued as a single coupled with The Only Sound and is now a much sought after collector’s item. 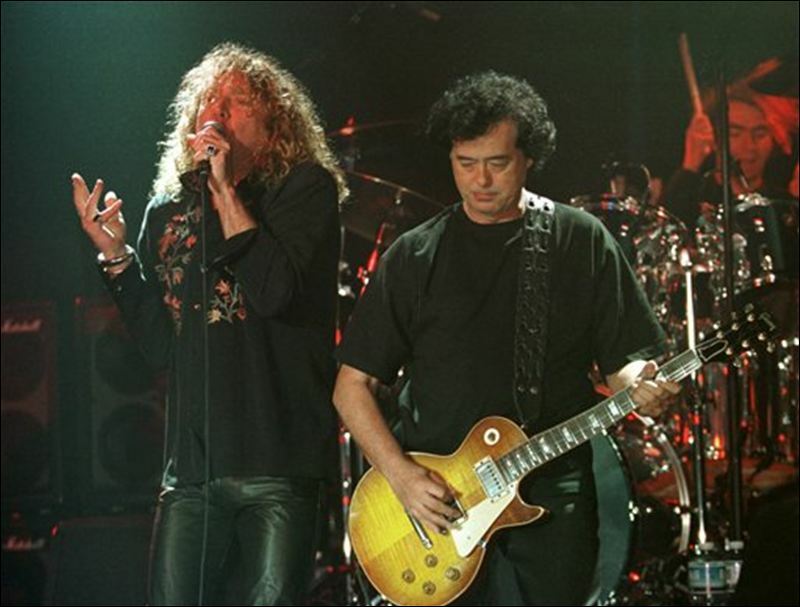 In 2015 Jimmy Page was the recipient of the Rock’N’Roll Soul Award at the NME Awards staged at London’s O2 Academy in Brixton – the award was handed out by Royal Blood who were voted Best New Band. The NME is now consigned to publishing history – and what an inspirational history it’s been. It was sad to hear the passing of Russ Solomon the founder of Tower Records aged 92. During the 90s the Piccadilly Tower Records store was an essential stop off on my every visit to London . Their ‘deep catalogue’ policy ensured an amazing array of stock during the CD explosion. The store also stocked the TBL mag during that period. Great retail days they were. 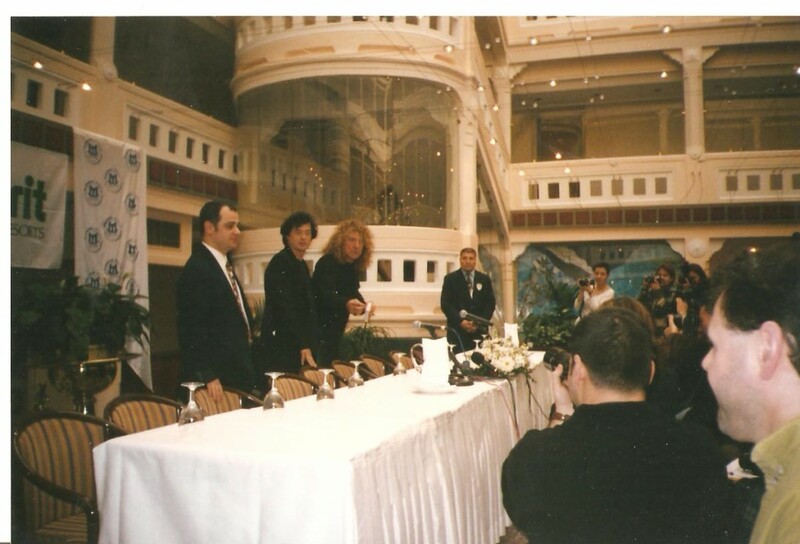 Tower was sold to the Virgin Megastores in 2004 and Jimmy Page inaugurated the London’s ‘Walk of Fame’ during the Virgin Megastore @ No 1 Piccadilly launch on August 23, 2004. I was working for Virgin back then and was in attendance that memorable day. 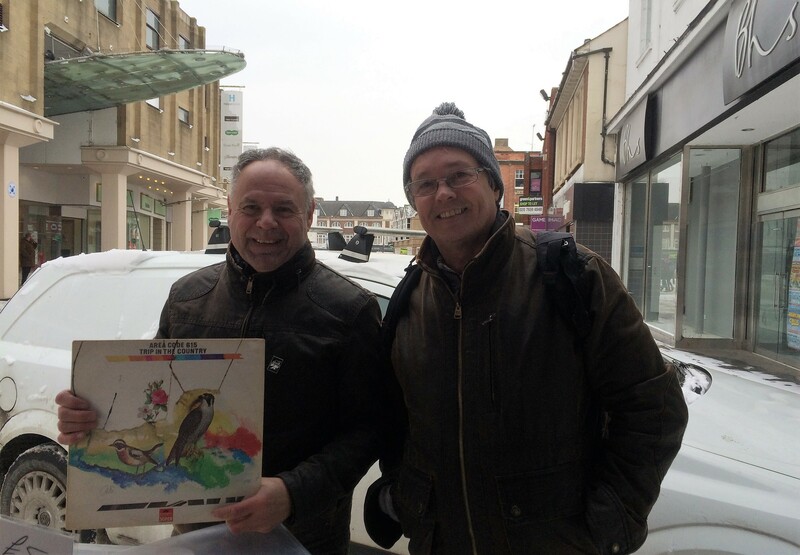 Friday treats at the Vinyl Barn: Don’t go out unless it’s absolutely necessary warned the weathermen – but a visit to the Vinyl Barn is always necessary and snow and sleet did not deter my fellow local TBL vinyl enthusiast Steve Livesley and myself last Friday. I was pleased to find a copy of Area Code 615’s 1970 album Trip In The Country –this contains Stone Fox Chase their them tune to The Old Grey Whistle Test..top stuff – thanks Darren! Last week was one of the coldness I can recall for years. The snow fell at a rapid rate and there was no chance of getting out on the bike. The walks into town to work on the book were somewhat perilous as were the ones to deliver book orders to the post office. Unsurprisingly the Floyd Effect Pink Floyd tribute band gig I was due to attend at Bedford’s Corn Exchange on Friday was postponed. Here’s the good lady and myself out and about on Saturday morning in the snow at nearby Russell Park Bedford – the snowman is one we made earlier (not). It was amazing how quickly the snow all melted during Sunday and this week thankfully it’s been a lot warmer. I was at the local Fox & Hounds tonight to watch the Spurs v Juventus Champions League second leg tie. 1-0 up at half time all seemed to be well but two quick goals saw the tie swing to Juventus. Most disappointing as Spurs had been so in control. 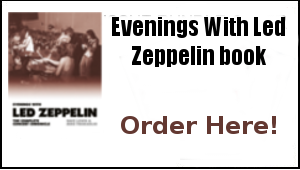 These past few days have seen work here on not one book project but two -aside from the ongoing work on the Evenings With LZ book, I also turned my attention to overseeing design the forthcoming photo book Led Zeppelin Live which is being published by iconic Images. this is shaping up to be a superb visual record of their latter touring era 1975 – 1977. The full Record Store Day listing is now out – and alongside the previously much discussed Led Zeppelin Rock And Roll/Friends seven inch coloured vinyl release, there are a couple of other Zep related items lined up.The Dream Syndicate 12 inch single features John Paul Jones on lap steel guitar on a live performance of How Did I Find Myself Here. There’s also a reissue of the excellent 1965 Nico single I’m Not Sayin’ /The Last Mile produced by Jimmy Page for the Immediate label. 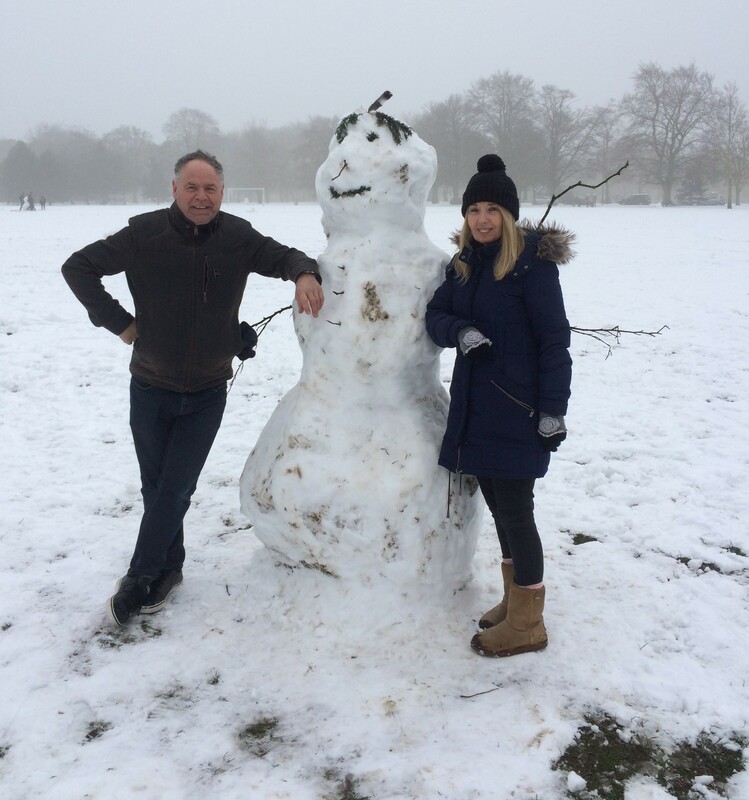 Nice snowman Dave… Hahaha… Did you use four sticks…? Funnily enough, i’ve had the Shepherd’s Bush 2CD (Wardour label, multitrack master) on heavy rotation lately. Where to start…? The version of “No Quarter” is amazing, no wonder it featured on the official “Shining In The Light” cd-single.